According to this new story from Spaceweather, an Earth-directed solar flare has been cast into space by the Sun that is expected to impact our planet Earth sometime on March 22nd or 23rd. And while they report the explosion upon the Sun that hurled a coronal mass ejection into space is not headed directly towards the Earth and will likely only deliver our planet a glancing blow, this new C4-class flare from sunspot AR2736 is another reminder of just how vulnerable our planet Earth is to 'doom from the sun', especially in 2019. As this March 18th story over at Zero Hedge reports, a new study titled "Multiradionuclide evidence for an extreme solar proton event around 2,610 B.P. (∼660 BC)" which had been published online on March 11th in the "Proceedings of the National Academy of Sciences" warns a devastating solar storm striking the Earth once again is a matter of 'when', and not 'if', while warning such a storm will be sure to cause absolute havoc all across the planet. Comparing what is likely to nail us at some point in the future to the huge solar storm that blasted the planet 2,600 years ago, (though causing little damage), their study warned that such an event in 2019 "would trigger widespread power outages and collapse communication and navigation systems. In short, modern society would come to a screeching halt". And while the report gives no exact date for when such an event might once again occur, it ends by warning "the next severe solar storm could be imminent and threaten modern society" while also emphasizing the differences in our world today between the modern tech we have in 2019 and the 'Carrington Event' of 1859 that knocked out telegraph circuits around the world: "If those solar storm(s) had occurred today, (they) could have had severe effects on our high-tech society." In the image seen above taken from this recent story, we see how many hundreds of millions of Americans might be affected by a 100-year geomagnetic storm that takes down large sections of the power grid and as they reported within their story, a previously unpublished internal FEMA reports obtained via a FOIA (Freedom of Information Act) request highlight the extent of damage a major solar storm could cause to America and our 'critical infrastructure'. The report covers a variety of scenarios, while detailing vulnerabilities and assessing risks, and while we encourage everyone to read the entire report (embedded below) for comprehensive understanding, we will highlight some of the most concerning below. Under the category of “assessing the risk” on page 25, they highlight the 1859 Carrington-Hodgson, stating “Anecdotal observational records of low-latitude red aurora hint that the largest events may occur roughly every 500-600 years, before dropping the bombshell “However, events strong enough to severely impact modern systems may occur as frequently as once in 100 years . Indeed two storms, 1859 and 1921, were of sufficient strength that their repeat today could cause large-scale power grid collapse. Further, the March 13, 1989 storm that collapsed the Hydro Quebec power grid in Canada came within seconds of collapsing the Northeast and northern Midwest U.S. power grid (Kappenman, 2005). 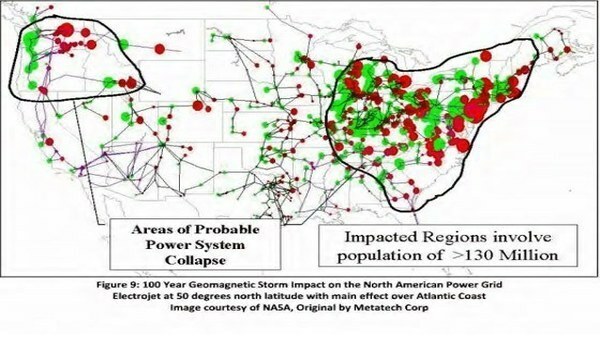 Kappenman (2005) reports that “the size and intensity of this Westward Electrojet structure, had it developed 5- 7 h later, would have extended from east coast to west coast of the entire northern-latitude portions of the US power grid, and is likely to have produced much more significant consequential impacts … . ” It should be noted that the power grid, due to deregulation since 1989, is actually more vulnerable today (National Academy of Sciences, 2008). With our planet Earth so much more vulnerable now than it was during the 1859 Carrington event and even much more vulnerable now than it was during the 1989 solar storm, with every critical infrastructure across our society connected and completely dependent upon a fully functioning electrical grid, it's understandable why some experts warn that a long-term, grid down scenario could eventually lead to the deaths of 90% of Americans or more. And while talk of a cyber attack or EMP to bring down the grid generate a lot of headlines, as we see in the chart above taken from the FEMA report at the bottom of this story, a solar flare that brings down the grid may be not only much more likely than the other alternatives but totally and completely out of the control of human beings, with nature delivering the fatal blow. As Susan has also reported within this June of 2017 ANP story, the electrical grid wouldn't be the only thing adversely affected with communications sure to suffer all across the planet. While many preppers understand clearly that in a grid down scenario, we are on our own, or part of a community that is prepared, but the government will not immediately be on hand to help, but those that have denied that any grid down scenario could potentially last for years, will be completely unprepared for the fact that according to this newly revealed report, FEMA itself, as well as “partners at all levels, specifically state and local emergency management organizations that rely on amateur HF for incident operations support, will be suffering disruptions. 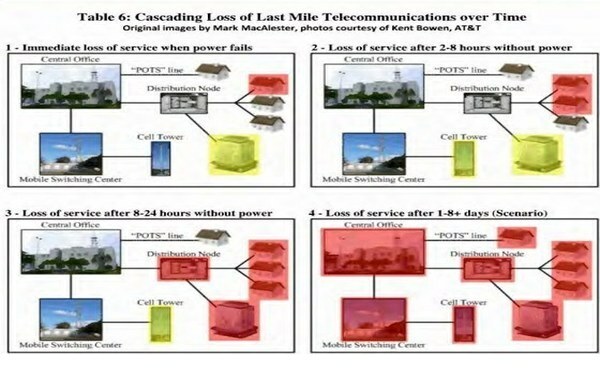 While the report also provides other tables/graphs, the one below shows the “cascading loss of telecommunications over time,” divided into four subsets, including 1) Immediate loss of service when power fails; 2) Loss of service after 2-8 hours without power; 3) Loss of service after 8-24 hours without power, and; 4) Loss of service after 1-8+ days (Scenario). 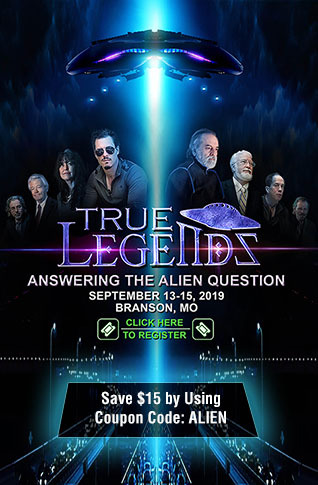 So how might one communicate should a Carrington-like event strike our planet and take all of the communications down with it? With practically all conventional ways of communication knocked down along with the electrical grid, and previous solar storms proving they'll fry communications such as the telegraph lines fried during the Carrington event, as Gray Wolf Survival reported back in 2013, one of the best ways to communicate going forward may be amateur or HAM radios. 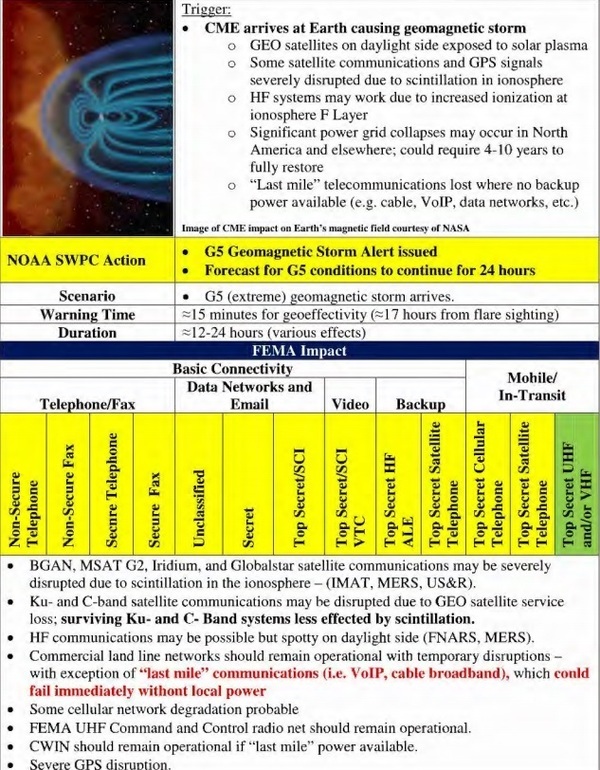 With any solar storm that fries our satellites also destroying the ability of satellite phones to communicate with the outside world, Gray Wolf reports that a HAM radio community already exists and in his opinion, is easily one of the best ways to communicate with the outside world in such a SHTF scenario. However, as he points out within his story, such a radio should probably be kept in a faraday cage to ensure that its electronical components are also not fried should a killer solar flare be unleashed as we also hear in the 2nd video below. One of the nice things is that a lot of ham radios can reach the national weather system (NOAA) frequencies. That means that if you have a radio, you can find out what’s going on in the area. If you have a radio scanner, you can listen to what’s going on with emergency frequencies as well as any other that the scanner can reach, and you don’t have to know which one they’re transmitting on. That’s why they call it a scanner. It goes in a loop up through whatever frequencies you tell it to and it stops if it hears someone transmitting. Here is a list of emergency radio frequencies that you should keep in mind when both looking for radios and coming up with your emergency communications plan. Just to pacify all the know-it-alls who keep telling me this list is crap because you can’t transmit on them – keep in mind that they’re useful to monitor in emergencies even if you can’t send anything out, and I wanted to make as complete a list as I could for everyone. His full list can be found here. 52.525: Calling frequency used by ham radio operators in FM on their six-meter band. 121.50: International aeronautical emergency frequency. 154.57 and 154.60. 154.28: Used for inter-department emergency communications by local fire departments; 154.265 and 154.295 also used. With big American cities sure to turn into death traps should the electric grid go down for an extended period of time, with most Americans totally unprepared for even a 3-day grid down scenario much less the grid going down for potentially a year or much longer, what makes America so advanced over much of the rest of the world is also our 'achilles heel'. As we had reported on ANP back in November of 2018, each of the 16 critical infrastructure sectors in America is directly tied to the other sectors, and with all of them completely dependent upon electricity to function, it's easy to see just how interconnected and potentially fragile our critical infrastructure is here in America. And where goes our critical infrastructure, there goes America. So we'll close with these final words of timeless advice from Susan Duclos from this June of 2017 ANP story. 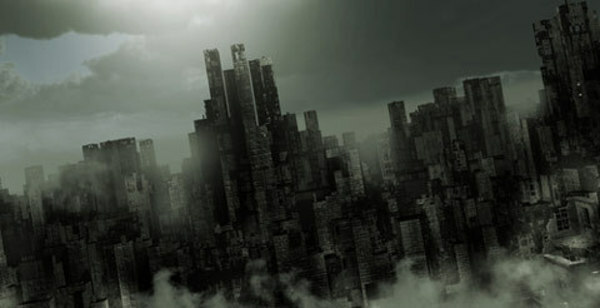 These reports clearly shows that it is not just a nuclear world war or a possible EMP attack via another country or terrorists that could cause a grid down scenario, but weather events that occur approximately every hundred years, with the scope of our technology, could so far worse damage now than they did when they previously occur. Preparation is key and people should not get lax in continuing to prepare for the possibility of the power grid going down, because as these internal reports and risk assessments show, things will be a lot worse than what the general public has been told previously.